The notion that graphic design is fundamentally a creative business, a form of art undertaken by ‘creatives’, is severely challenged in this type special issue of Eye. We listen to Paul McNeil and Hamish Muir, whose rejection of ‘the tyranny of ideas’ is rooted in systems and analysis. Yet their ‘constructed type’ is hardly utilitarian or robotic: it is type made for graphic designers, and the seed from which all kinds of innovation can bloom – as our digitally printed, variable-data cover demonstrates. The Reputations interview is with Nadine Chahine, known for her Arabic versions of Frutiger and Neue Helvetica as well as Koufiya – the first typeface in which both Latin and Arabic characters were designed by the same hand. At first sight, Chahine’s work seems to exemplify type made from what McNeil calls the ‘proprioceptive senses’, with curves and strokes reflecting human movement – the hand-held pen that draws a character. 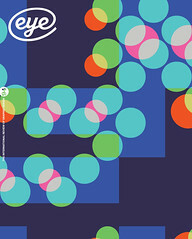 Top: The cover of Eye 94, front and back, is one of 8000 different numbered pieces of artwork printed digitally on an HP Indigo 10000 press at Pureprint using HP Mosaic, a program that enables variable data printing based on a single ‘seed’ vector file. Mosaic makes it possible to resize, rotate and change the colour palette of the artwork, cropping it to make each unique final cover file. To make ten seed files, Paul McNeil and Hamish Muir produced a file in which the letters of the word ‘eye’ are repeated in fixed increments and in three layers, each set in a different font of their TwoPoint or TwoPlus typefaces. 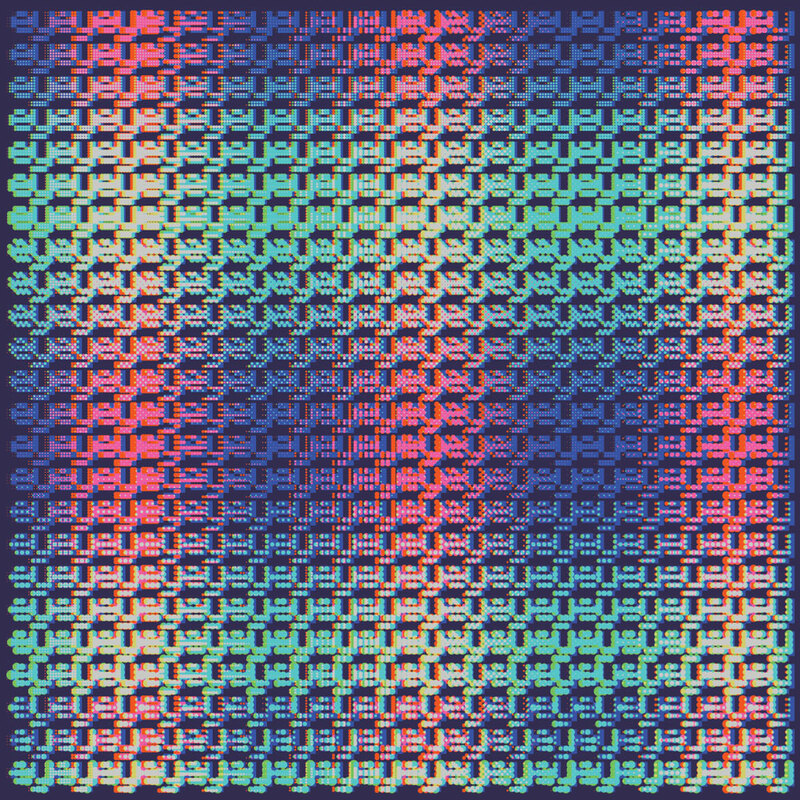 They are shifted laterally in distances proportionate to the letter spacing. Two of the seed files are shown, slightly cropped, on the inside front and back covers. See ‘Pleasure in the process’, about MuirMcNeil’s ‘constructed type’, pages 44-53.